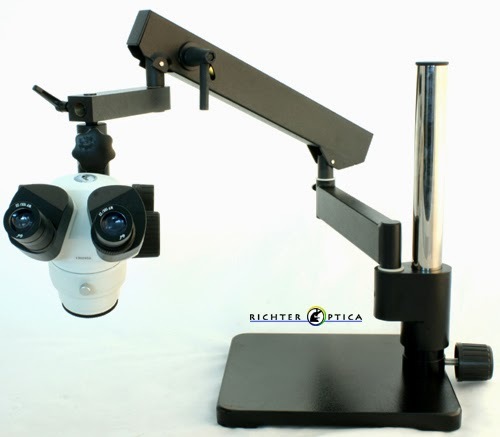 A new addition to the Richter Optica S6 series of stereo zoom microscopes is the S6-AASQ articulated arm microscope. Optional LED ring light or LED dual pipe light available. Available in binocular or trinocular for mounting a microscope camera.